Welcome, Fairfield Descendants and Researchers! Wynn Cowan Fairfield published the Descendants of John Fairfield of Wenham in 1953. * His research covered five generations of descendants of John Fairfield (c.1610-1646) and his wife, Elizabeth, of Wenham, Mass. This site builds on his research, providing an evolving database of descendants (now into the 13th generation) as well as documents, photos, links to related sites, source citations, and notes. Contact me if you want to add documented data for your line or to see if I have any additional information that might be helpful in your research. Photo Copyright 2003 Rick Kilham. Please visit the Family Tree DNA site to learn more. The 12-marker Y chromosome DNA tests have not proven as helpful as I had hoped in corroborating Fairfield family ties between various branches. If you are trying to determine your status as a descendant of John Fairfield of Wenham, I would recommend considering the higher-marker tests, although they are costlier. Overall, a well-documented paper trail based on local, primary sources is still the best way, in my opinion, to delve into your Fairfield family ancestry. I also recommend considering a subscription to www.ancestry.com, whose electronic document library is constantly expanding. Another great resource is www.familysearch.org, which does not cost to use or view their extensive collection of data. 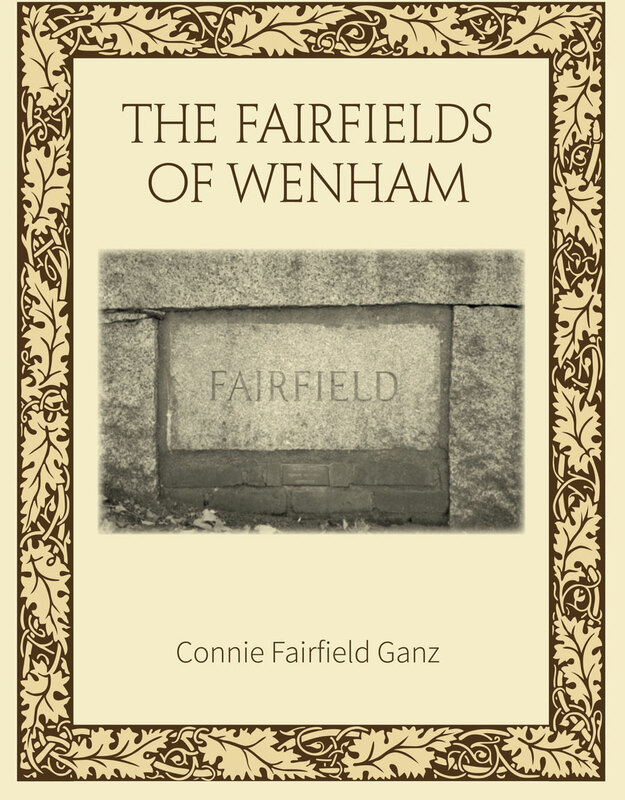 My book, The Fairfields of Wenham (2013), builds on the research of Wynn Cowan Fairfield and many others. 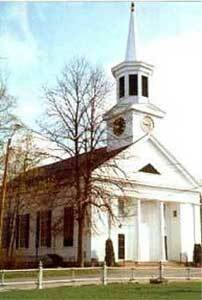 It covers the history of John Fairfield of Wenham, Massachusetts, and his descendants from 1638-1800. Chapters include 1. Coming to Wenham, 2. The Move to Reading, 3. Return to Wenham, 4. The Next Generations, 5. Fairfield Burying Ground, and 6. Historic Houses. It is 200 pages and includes photos, illustrations, and maps. SOLD OUT. It is available for checkout at several libraries nationwide, including the NEHGS in Boston (MA); Boston Public Library (MA); Phillips Library at the Peabody Essex Museum in Salem (MA); the Family History Library in Salt Lake City (UT); Wenham Museum/Timothy Pickering Library in Wenham (MA); Reading Public Library (MA); Lynnfield Public Library Genealogy Room (MA); Beverly Public Library (MA), Oxford Free Public Library (MA), Hamilton-Wenham Library (MA); Dyer Library Maine History Room in Saco (ME); California State Library (Sutro Library) in San Francisco (CA); DAR Libary (DC); and Allen Co. Public Library Genealogy Center in Fort Wayne (IN). Descendants of David (1829-1897) and Ann (Tate) Fairfield may be interested in my book, The Man Behind the Plow: Robert N. Tate, Early Partner of John Deere. Robert Tate was Ann (Tate) Fairfield's father. He wrote volumes of interesting diaries in the19th century. SOLD OUT. Available for checkout at Napa County Library (Napa and Calistoga, CA); Napa Valley Genealogical Society (Napa, CA); The Bancroft Library (UC Berkeley, CA); California State Library/Sutro Library (San Francisco, CA); Family History Library (Salt Lake City, UT); Rock Island Library (IL), DAR Library (DC); Abraham Lincoln Presidential Library (Springfield, IL); Sauk Valley Community College (IL); University of Illinois (Urbana, IL); Illinois State Library (Springfield, IL); Augustana College Thomas Tredway Library (IL); Black Hawk College (Quad Cities Campus, IL); Dixon Public Library (IL); New York State Historical Association; New England Historic Genealogical Society/NEHGS (Boston, MA). This site was created in 2004 and updated in January 2019. Copyright 2004-2019 Connie Fairfield Ganz. You are welcome to reprint my narrative material with a proper credit notice (Copyright Connie Fairfield Ganz) and quotation marks around the material used. Dates, names, census entries, and facts alone are not copyrightable data, so you do not need to credit me for those. A link back to my site whenever you use my data would be appreciated. Permission to reprint items owned by third parties must be sought directly from them. A sequel to The Man Behind the Plow is now available, titled Pioneering in Knights Valley: The Making of McDonnell Ranch. It picks up the story when the Tate and McDonnell family members migrated to California in the mid-1800s. There, in 1864, Ann Tate (1832-1912) married David Fairfield (1829-1897). They settled in Northern California, and for a while lived in close proximity to Ann's married half-siblings, William McDonnell and Barbara (McDonnell) Keyes in Knights Valley, which is at the north end of Napa Valley in Sonoma County, California. The book also chronicles David Fairfield's migration to California, as well as his early bachelor years, then follows them and their extended families through the early 20th century. It includes maps, photos, vital records, and a sprinkling of vignettes about 19th-century California historical events. Available at numerous libraries and historical societies in California and elsewhere.